Opera III is a choreographic work created by Giuseppe Bucci (choreographer) and Charles Mugel (musician), exploring the theme of the initiatory ritual. Thanks to a sensors system mounted on the dancer’s costume, his movements are translated into sound and visuals. 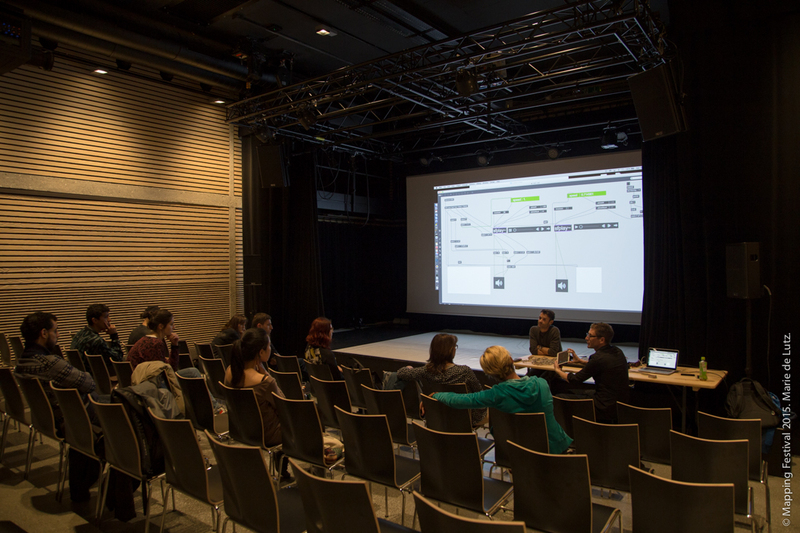 This workshop/masterclass proposes to the participants to discover the show behind the scenes, and to explore possibilities and constraints related to interaction between movement, sound and visuals. Each workshop day will start with a movement session, in order to apprehend the different emotional parameters of the piece. 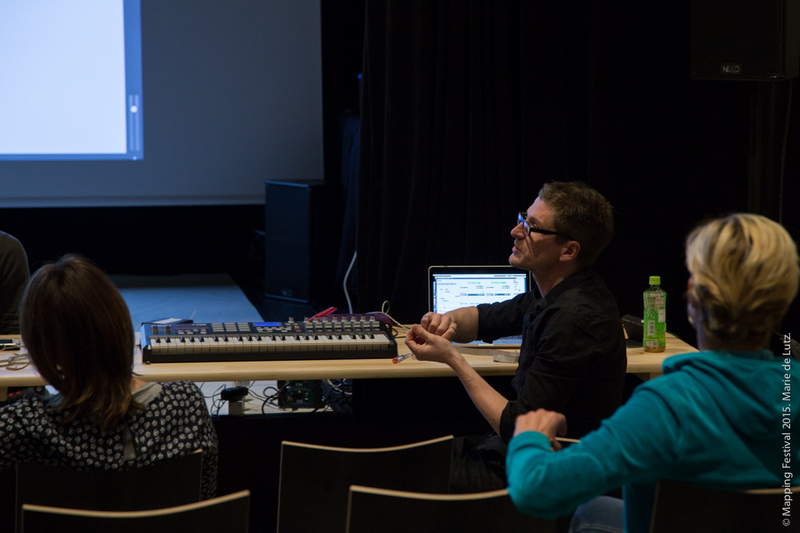 Some theoretical and practical sessions will then cover different aspects of the creation related to interactive sound composition (MIDI, synthesizer, Ableton Live, Max/MSP), and interactive video (Isadora, Max/MSP). Experienced dancer and choreographer, freelance artist, Giuseppe Bucci has been working as an assistant director and choreographer on theatrical performances, directed several fashion shows, artistically coached the Swiss synchronized swimming vice champions team and was invited to teach at the Cedar Lake Contemporary Ballet Company in New York. In 2011, Giuseppe focused on a new cooperation with the artist-painter Véronique de Freudenreich and created an experimental visual-dance project "Résonance Initiatique" (Maison des Arts de Plan les Ouates). 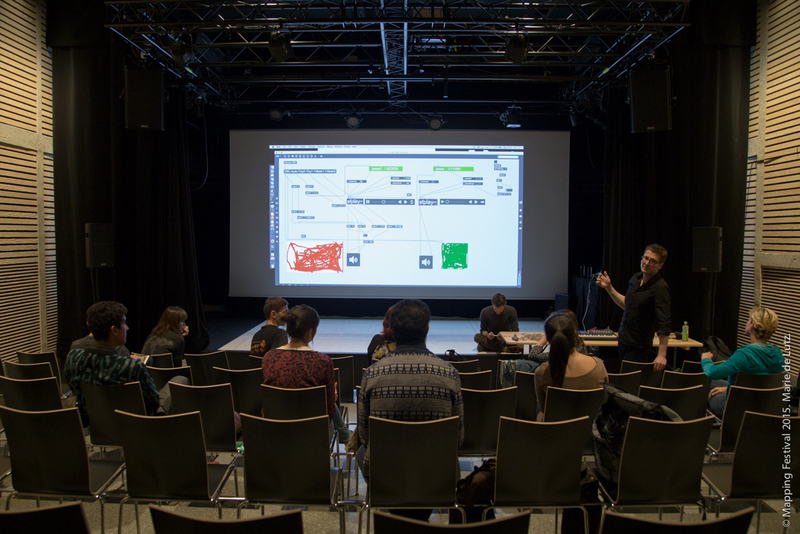 In the same year, as the second phase of this venture, he invited the visual-artist Jungun Jang to work with him on "Opera II" (Flux Laboratory). 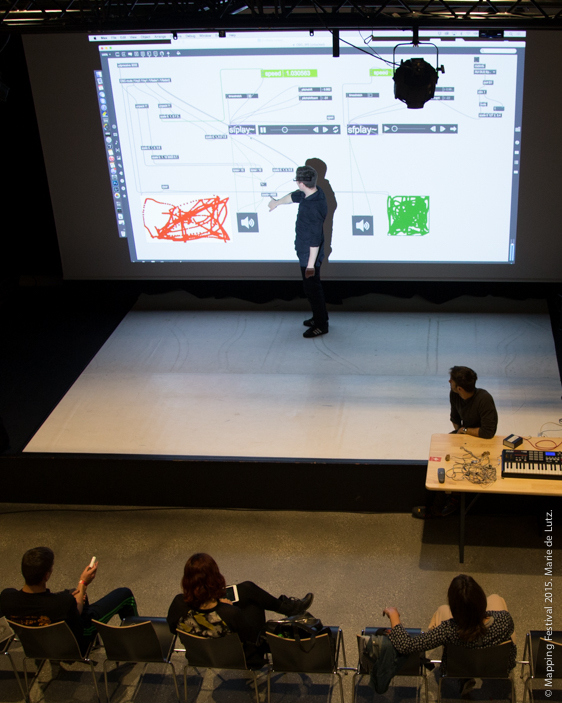 Both projects, being fully innovative in terms of a new artistic approach, were created at the Flux Laboratory, combining movement with visual, graphic, audio and expressive techniques. In parallel to his work at Flux Laboratory, Giuseppe wrote, directed and choreographed the short-length movie "Ida y Vuelta". At the end of 2011 Giuseppe founded the FullFork Association to promote the creation and cooperation of multidisciplinary projects. Multi-instrumentalist, Charles Mugel is also a sound engineer, composer, director and photographer. He participated in many musical creations and artistic collaborations. 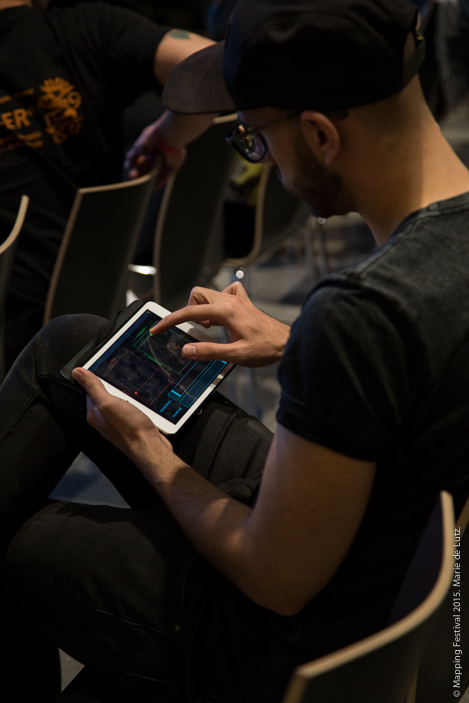 End of 2012, he began the creation of Opera III (composition and programming) with choreographer Giuseppe Bucci, where technology is closely linked to music and dance through the use of sensors to control the music.